Shofur strives to provide the highest quality bus rentals in San Francisco at the best prices. Whether you're traveling locally or across state lines, Shofur will arrange the best bus for your group. Our team is available 24 hours a day to find the perfect fleet for you! Give us a call at 1-800-436-8719 to learn more about our services and to receive your free, no-obligation quote. Imagine gliding over the Golden Gate Bridge in a modern private charter. The windows are panoramic, providing endless views of the San Francisco Bay and the Pacific Ocean, along with the city itself. As you look out from your wide-angle window, your comfort is unmatched—the temperature is perfect thanks to your personal A/C, and you’re reclined just enough in a premium leather seat. Well, you can stop dreaming. With Shofur, all of this can be your reality. An excellent bus experience in San Francisco and beyond is just a phone call away. Call us today at 1-800-436-8719, and ask your booking specialist about your options. We are here 24/7 to make your group travel dreams come true. With the ability to fit groups as small as 12 people and as large as 56, the buses in the Shofur network can be molded to fit your group’s needs. Whether you need ADA accessibility or extra storage space, we have a bus solution for you. When you travel with Shofur, there is no limit on where the road can take you. We rent out buses for long day trips and field trips, and we are proud to report zero accidents. There’s a reason school officials, chaperones, and parents book with us, and that reason is our commitment to safety. Reliability is a cornerstone of our operation; we will always book the best drivers to keep your group safe as you travel to all school-related events. On long rides away from San Francisco, you can equip your bus with everything from reclining seats to TV monitors to a high-quality sound system. Take college classes to Yosemite National Park, which will be four hours of sightseeing magic in a charter rented through Shofur. Day trips to places like Napa and Sonoma Valley are a blast, too—create your own wine tour with a professional designated driver at the helm. For field trips and day trips in and outside of San Francisco, check out the below field trip and day-trip destinations we can add to your itinerary. In the heart of San Francisco, SFMOMA is one of the largest museums of modern and contemporary art in the United States. You can see work by artists including Frida Kahlo and Andy Warhol, and the museum also features an outdoor sculpture garden, a 30-foot living wall, and three eateries. Ideal for field trips, you can take the class in a 30-passenger bus to Aquarium of the Bay. Kids will get to discover the beauty and wonder of the Northern California aquatic life. The Aquarium, located on the historic San Francisco waterfront at PIER 39, is home to more than 20,000 marine animals. See sharks, rays, octopus, jellyfish, anchovies, river otters, and many more sea animals. The Golden Gate Park attracts more than 13 million visitors yearly. It is a large urban park covering 1,017 acres of public land. Yosemite National Park was first protected in 1864. Although it’s best known for its waterfalls, the 1,200-square-mile landscape features deep valleys, grand meadows, giant ancient sequoias, and vast wilderness. Book a roomy minibus to take the crew to Napa Valley for a milestone birthday celebration. Monticello Vineyards by the Corley Family is a great place to start. In 1969, Jay Corley came to Napa Valley to produce world-class wines, and today, the Corley family nurtures five estate vineyard sites. The Trinchero Napa Valley is a family-owned winery that was built in 2007. The same year, pedigreed winemaker Mario Monticelli joined the team and crushed the first vintage of Trinchero Napa Valley. When visitors come to town for your stunning San Francisco wedding, don’t you want to treat them to a VIP experience that has them talking about your big day for decades? Show them the San Fran way with stylish airport shuttles that swing by the San Francisco Airport when your guests arrive. Out-of-towners will appreciate the convenience of not having to deal with rental cars or parking and driving in an unfamiliar city. Plus, they will feel totally pampered! These 18-passenger minibuses make for great airport shuttles for any type of visitor—whether a wedding guest or a business contact, your bus can be customized to impress its riders accordingly. Airports aren’t the only places the shuttles we charter can go. You can rent a fleet of minibuses for your wedding to help gusts get to and from the venue and the reception. This way, everyone’s on-time, and nobody has to worry about driving post-celebration. Let our reliable, sleek buses make your wedding day seamless and extra special. Terra Gallery & Event Venue features two diverse levels across 24,000 total square feet. Brides book here for a contemporary and elegant celebration. Home to Schools of the Sacred Heart by day, the Flood Mansion transforms into private event venue with over 6,000 square feet of rental space on weekends. Located in the Pacific Heights neighborhood and featuring a symphony of classical styles – Italian Renaissance, Rococo, Tudor, and Georgian – this elegant San Francisco wedding venue is one-of-a-kind. The Bently Reserve was once known as the old Federal Reserve Bank of San Francisco Building. Now a grand wedding venue, the building is located in the Financial District of San Francisco. Voted "Top 5 Wedding Venues" in the Bay Area by ABC7 CityVoter A-List, The Winery - San Francisco brings the wine country to San Fran by offering weddings and receptions for up to 225 people along the waterfront of the San Francisco Bay. Bussing a bunch of football players and their bulky gear across the state of California is not always simple. If you don’t choose wisely, you could end up with an unreliable bus that doesn’t stretch past basic, boring features. 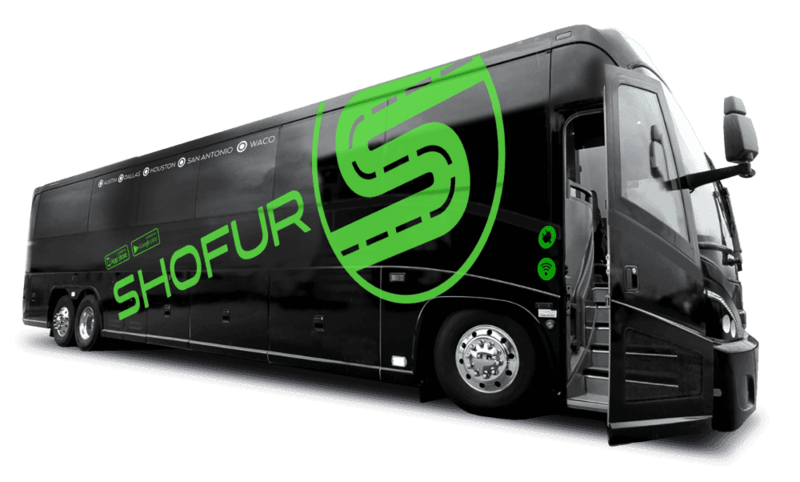 If you choose to book with Shofur, though, you can get a modern 56-passenger charter bus with tons of overhead and undercarriage storage space for professional, amateur, and school-aged sports teams alike. No group transportation request is too big or too small—we have access to more than 3,000 buses. With Shofur, the road to the tournament will be a player’s pre-game paradise. Add upgrades like reclining seats, extra legroom, and onboard WiFi, and you’ve got one happy bus of athletes. Or, if you’re a San Francisco sports fan, you too can reap the benefits of private group transportation. Call us at 1-800-436-8719 to rent a 25-passenger minibus for you and all your fellow 49ers fans. Tailgating is much more fun when everyone gets to carpool in one vehicle. And, with a professional driver at the helm, getting home safely is never a question. Home of the San Francisco Giants, an MLB team, AT&T Park is located in the South Beach neighborhood. A football stadium that’s been the home field for the NFL’s San Francisco 49ers since 2014, Levi's Stadium has capacity expandable up to 75,000 people for major events. The record attendance number was 76,976 people at WrestleMania 31 on March 29, 2015. Often referred to as the Oakland Coliseum by locals, The Oakland–Alameda County Coliseum is a stadium in Oakland that serves many purposes. Its first day of business was September 18, 1966. The Coliseum is home to two professional teams: the MLB’s Oakland Athletics and the NFL’s Oakland Raiders. The Golden State Warriors of the NBA play at Oracle Arena. Opening in 1966, the arena is the oldest the NBA. From opening until 1996, it was known as the Oakland–Alameda County Coliseum Arena. The California Memorial Stadium is home of the California Golden Bears, University of California, Berkeley’s football team. Are you ready to get on the road in San Francisco and have Shofur help you experience all that Northern California has to offer? No matter your event, destination, or group size, we can help get your group from Point A to Point B efficiently and comfortably. To make life easier for you, our booking specialists are available 24/7 to speak with you. Call us today at 1-800-436-8719 to discuss your travel needs and plans. We’ll give you a quote within minutes, and you can book right way if you’d like, or you can consult with your team first. It’s up to you. We’ll be here when you’re ready to make group travel as stress-free as possible. shoutout to Jose for being a great driver! Do you have any wine tours from San Francisco out to Napa Valley? ? We can certainly arrange that for you just call and speak to one of our representatives and they will be able to help.